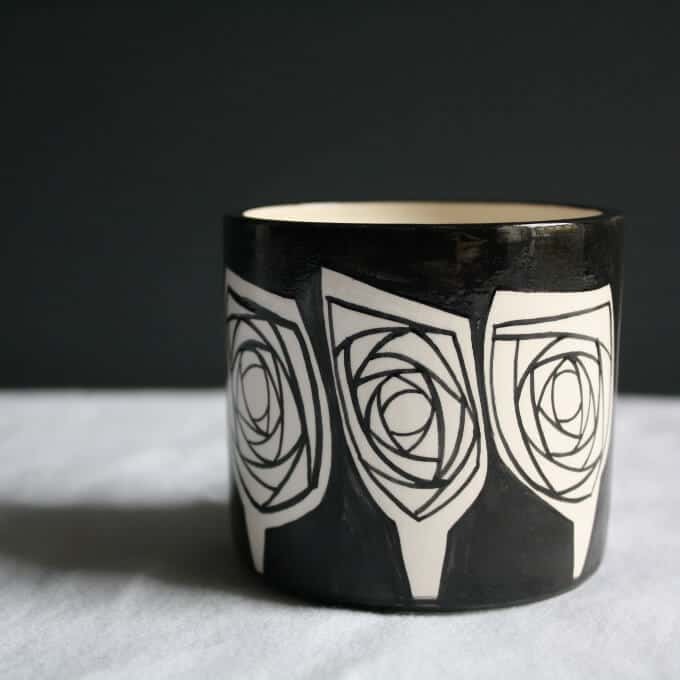 Edinburgh-based ceramist Sandra Brown was drawn to the elegance of Mackintosh’s designs, the effortless marriage of harsh geometry and wistful organic lines. She was particularly inspired by his metalwork and abstract roses. A GSA alumnus, Sandra wanted to capture the magic and awe with which she experiences Mackintosh’s work.